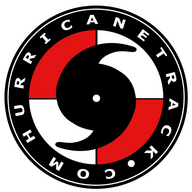 HurricaneTrack.com is a leading hurricane news and information site. Since 2005, we have been streaming live video during hurricanes and other high-impact weather events. In 2009, we began utilizing the amazing reach of Ustream to produce exceptional live broadcasts. In addition to our live vehicle cam (actually it goes everywhere we do), we also have up to one dozen small, self-contained unmanned camera systems that we deploy in areas where it is simply too dangerous for us to be in person. These cameras, also known as "storm surge cams", provide a front row seat and a totally immersive experience as we work to show you the impacts of tropical cyclones on society. Our funding comes from a variety of sources, including ad-revenue from Ustream. We also have an app for iOS and Android devices: Hurricane Impact (two words, search for Hurricane Impact in the App Store or Google Play) The app features live weather data, video posts from the field and extensive video blogs explaining the threats from hurricanes and other potential high-impact weather events.